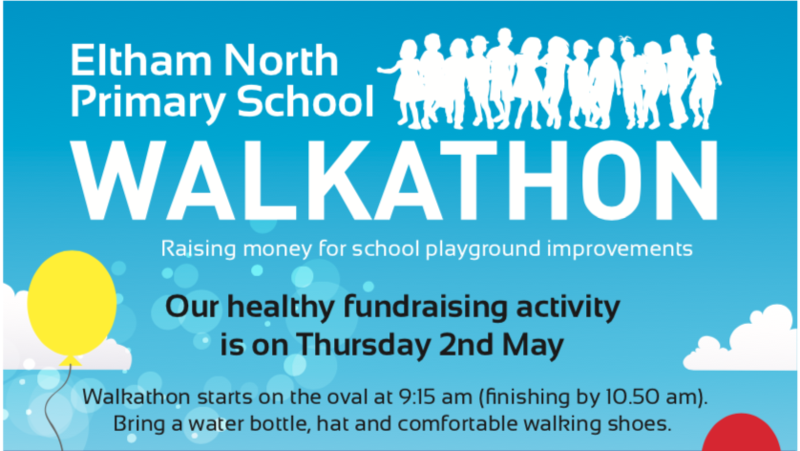 The ENPS Walkathon is our healthy fundraising activity in Term 2. It involves the whole school in a free dress house colours day This year, the event is one of our main fun and fundraising events. We are hoping to raise $10,000. Can you help us? On Thursday 2 May students will come to school in their house colours (red, blue, yellow, green or purple) instead of school uniform. 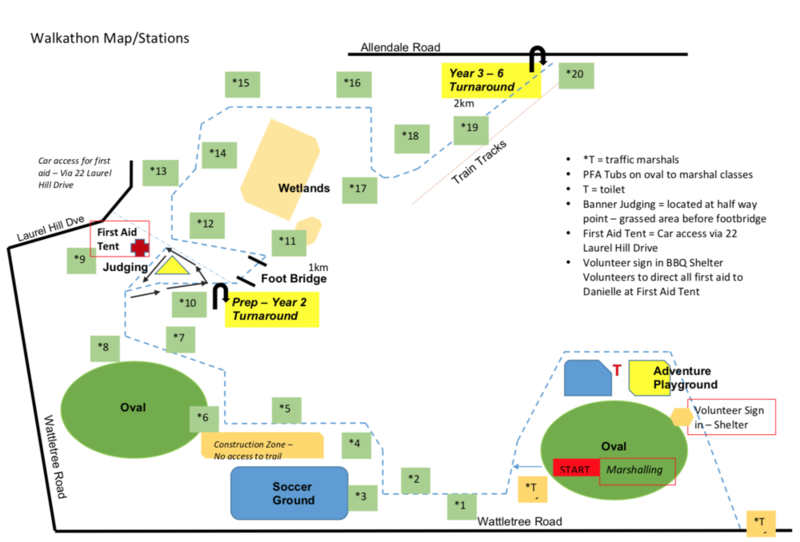 The Walkathon will start at 9:15am from the oval (finishing by 10:50am) and students will walk a short course with their classes along the Diamond Creek Trail supervised by teachers and parents. Students will be treated with an icy pole at the end of the walk. If you are unsure of your child’s house colour, it is listed in their Student Profile in Compass near their photo. Parents can you please assist students safely approach known sponsors (family members, friends, neighbours) over the school holidays and return sponsorship forms with money to classroom teachers by Friday 3 May. There will be a prize for the class with the highest fundraising amount and just like other house events prizes for the individuals who place 1st, 2nd, 3rd, 4th & 5th in the fundraising tally. Students will receive a hardcopy sponsorship form this week. If you need extra copies please print them out as needed. Students who raise $50 or more will be entered into the Melbourne Parkview Hotel draw for a prize for their parents. This year, our walkathon will include a spirit of celebration & class prizes will be awarded for team attitude. Each class will create a banner to represent their class. There will be awards for the best banner and 7 other awards for colourful house dress, cheering, respect, team walking, enthusiasm, sportsmanship & team play of the day for following the group plan. Lots of parent helpers are needed from 9 - 11am. Please sign up online using the link: http://signup.com/go/avTeUeA. Volunteers will help along the track and in judging the team attitude prizes. One lucky volunteer will also receive an award. Nadia Bovalino (Prep D), Kate Lillis and Rachel Orford for coordinating this event. Please contact Kate (M: 0411 333 398 / E: indisocialme@gmail.com) or Rachel (M: 0401 803 500) if you have any questions. Thank you to our generous sponsors SportFirst Eltham, Skaterz, Kmart, Boots for All, RHSports & Melbourne Parkview Hotel. Students to walk in class groups accompanied by their teacher.